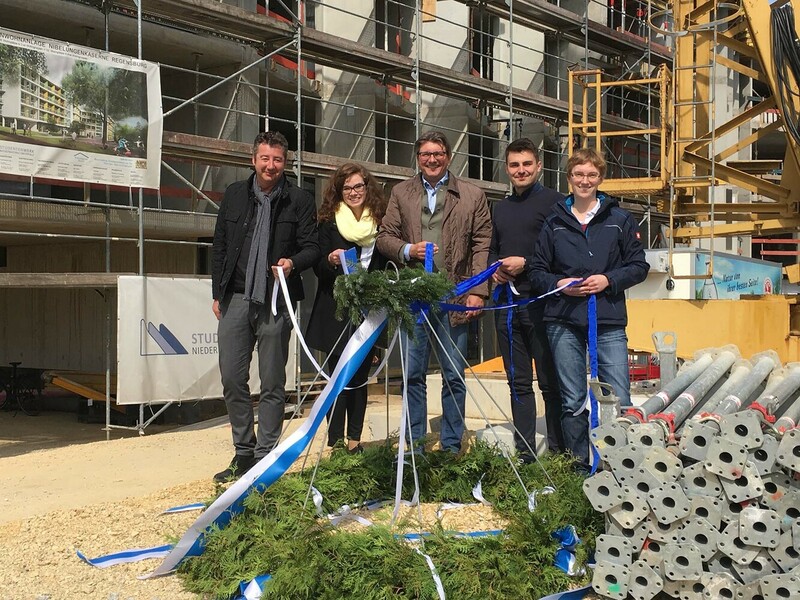 On Tuesday, April 2, our Munich office celebrated the topping out ceremony of the Nibelungenkaserne, a student residence complex in Regensburg, Germany. The former military base situated in a central location of Regensburg, neighboring the Ostbayerische Technische Hochschule Regensburg (OTH) and the University of Regensburg is being transformed into a student residence, creating affordable living space for 204 students. The event was attended by Gerlinde Frammelsberger, Director of the student union Niederbayern/Oberpfalz, Thomas Fuhrmann, Vice President of the OTH, Gertrud Maltz-Schwarzfischer, Mayor of Regensburg, Brigitta Brunner, Head of Department for the Bavarian Ministry for Housing, Construction, and Transport, and Professor Udo Hebel, President of the University of Regensburg. 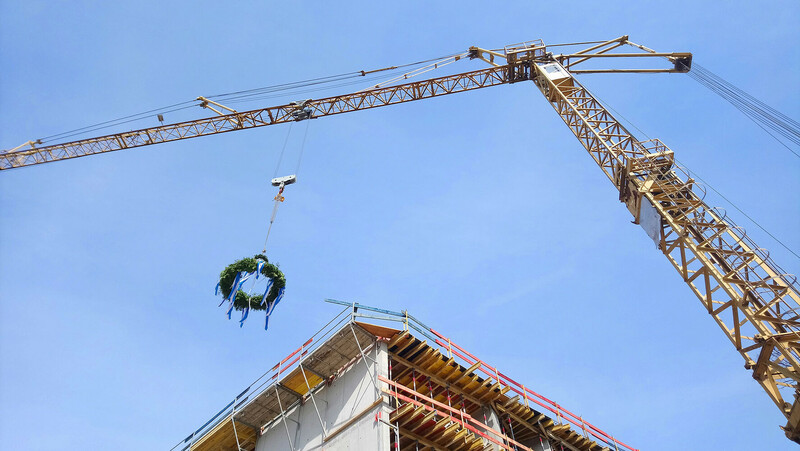 They acknowledged the progress of the shell construction and appreciated the safe work of all participating planners, constructers, and manufacturers.